Many Primitive Methodist chapels were associated with brass bands. A band fitted well with the outgoing evangelism of the societies and the sorts of songs and music they made. A band also had the great advantage that its music could be heard well in the open air at such as camp meetings and parades. Some of them, such as those at Castleford and Swindon, were set up as a direct response to local Salvation Army bands. 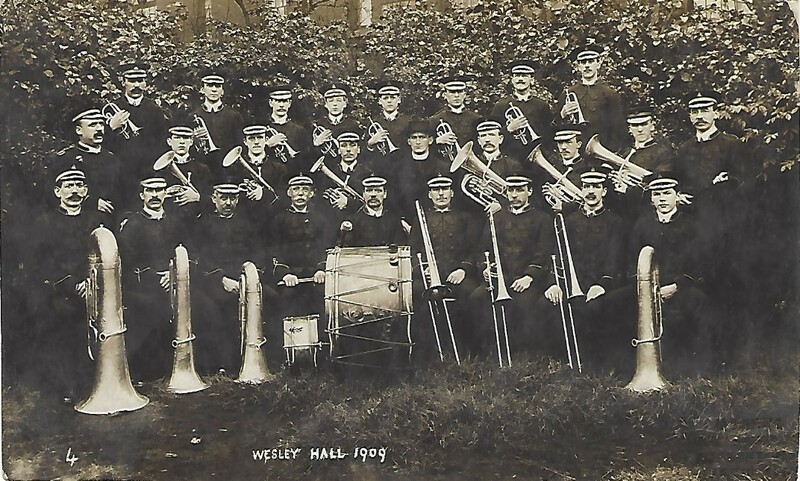 In his research into the history of brass bands, Gavin Holman has identified over 100 Primitive Methodist brass bands. Nine Prim bands, such as those at Hucknall and Enfield, also had a temperance focus. Altogether Gavin records 1067 Temperance bands, of which 39 were associated with the different branches of Methodism. 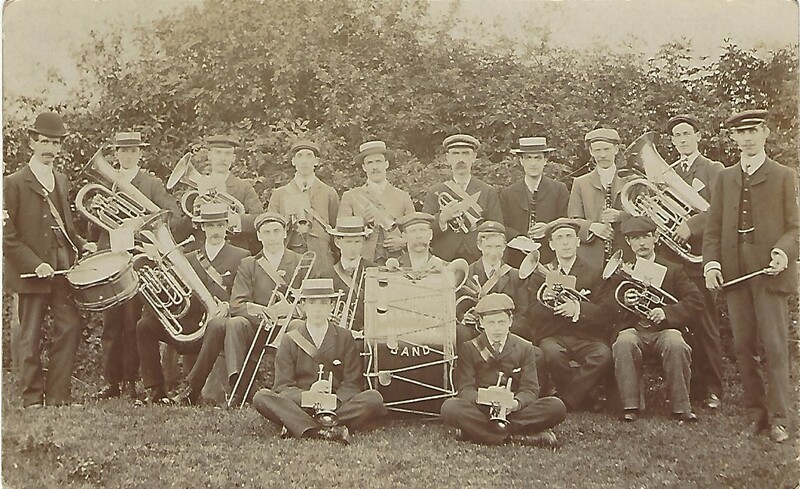 His historical directory of British brass bands is available online as a PDF download from: https://independent.academia.edu/GavinHolman. The list in the document below is an updated and amended version, reproduced with permission. Gavin is also responsible for the Internet Bandsman’s Everything Within (IBEW) website which includes an earlier list of extinct bands. Over time, many bands changed their name, merged or evolved; this is shown in the Links column where known. The listing cites the conductor’s name where that is known. If you can tell us more or add detail, please get in touch or add a comment . 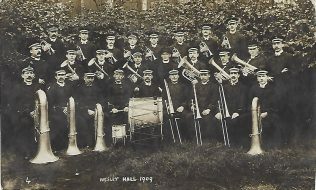 Two postcards showing Wesleyan Methodist Brass Bands have been added to this page, but we have been unable to find any images of Primitive Methodist Brass Bands. Can you help?